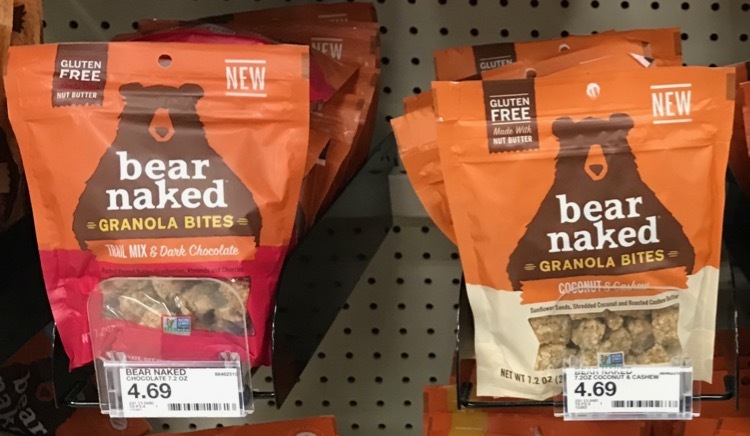 This post is sponsored by Bear Naked. All thoughts and opinions are my own. 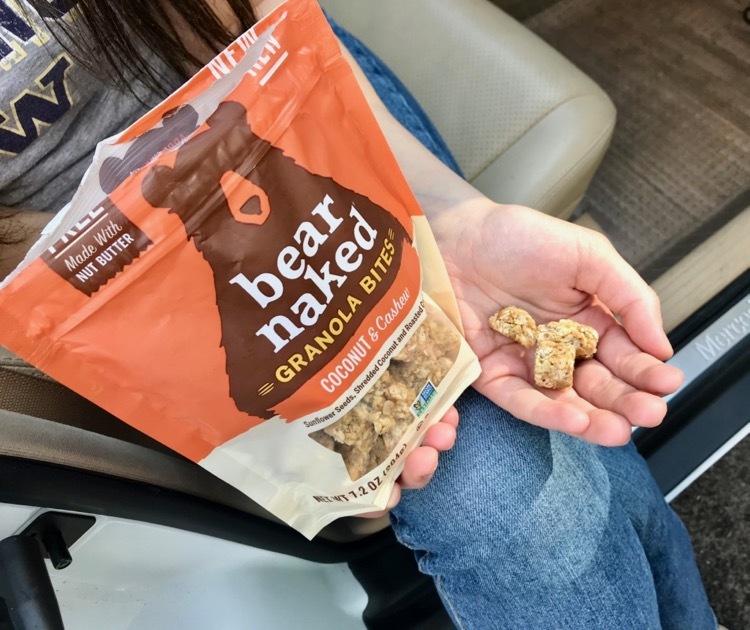 If you are looking for a great snack for at home or on-the-go, I recommend Bear Naked Granola Bites. 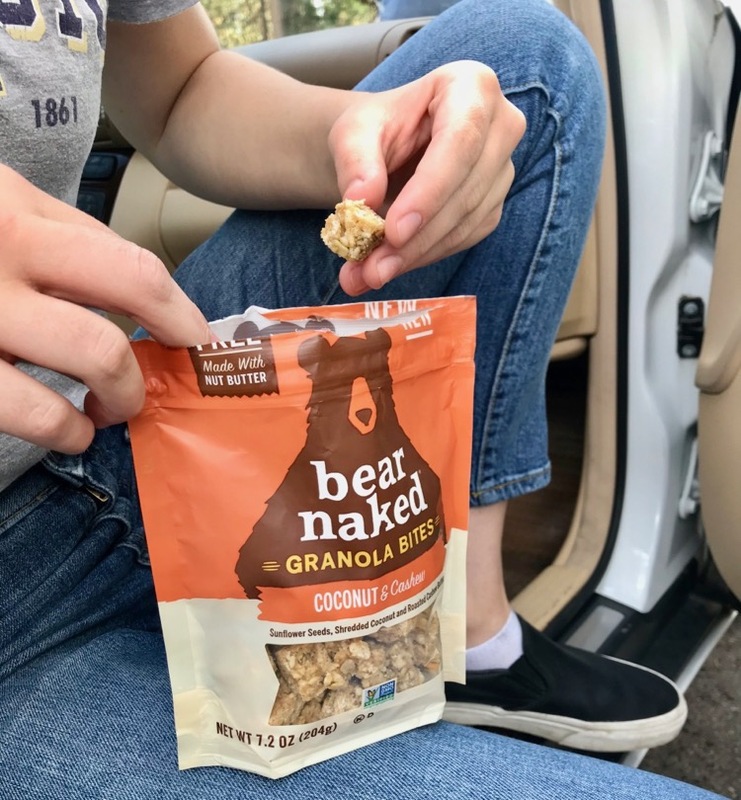 The Bear Naked Granola Bites are made with quality ingredients and are delicious! 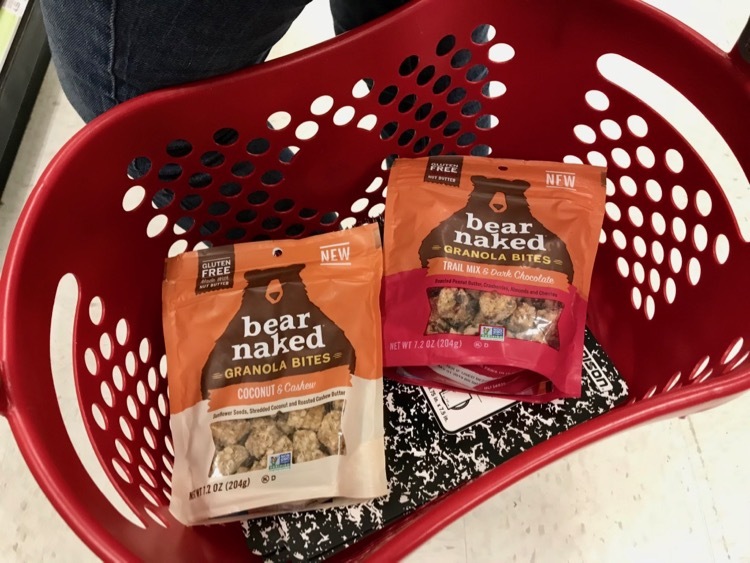 Plus, now through September 29th, you can save 30% on Bear Naked Granola Bites with the Target Cartwheel offer. I always love to save a little extra money! 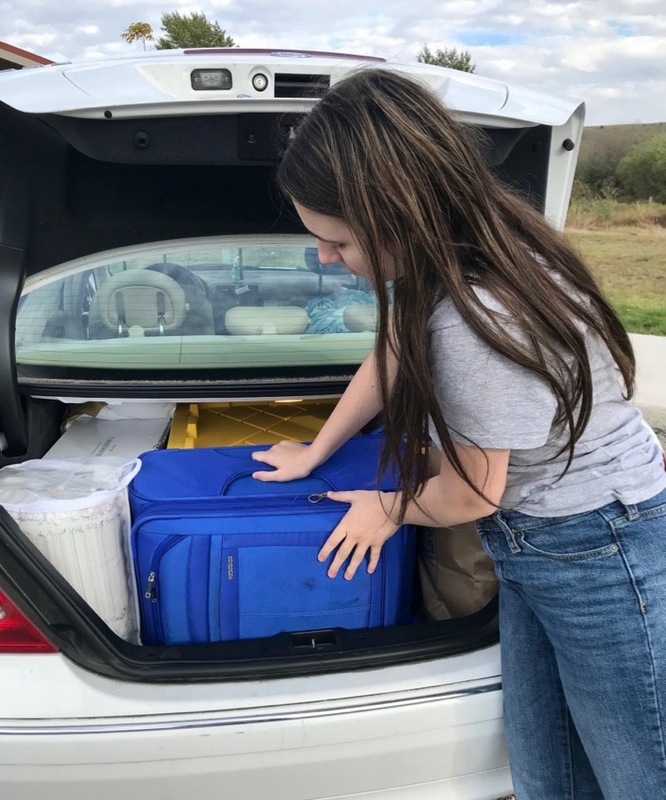 This weekend my daughter and I headed on a road trip to get her moved into her apartment at college. We packed her clothing, room decor and kitchen supplies into the trunk of her car and we were off! In case you were wondering, most of her college supplies were bought at Target throughout the year with their 70% off clearance deals! Before the long journey we made a quick Target run for a few last minute school supplies and some snacks for our drive. 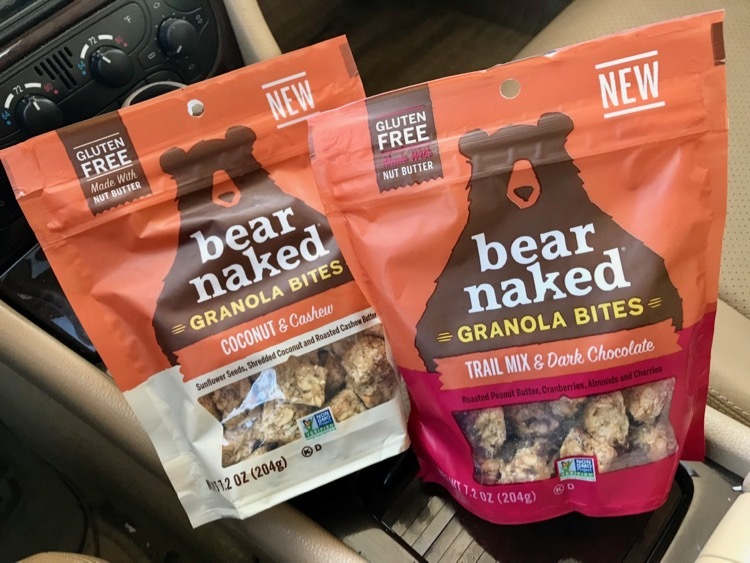 We chose the Bear Naked Granola Bites in the two newest flavors, Trail Mix & Dark Chocolate and Coconut & Cashew. 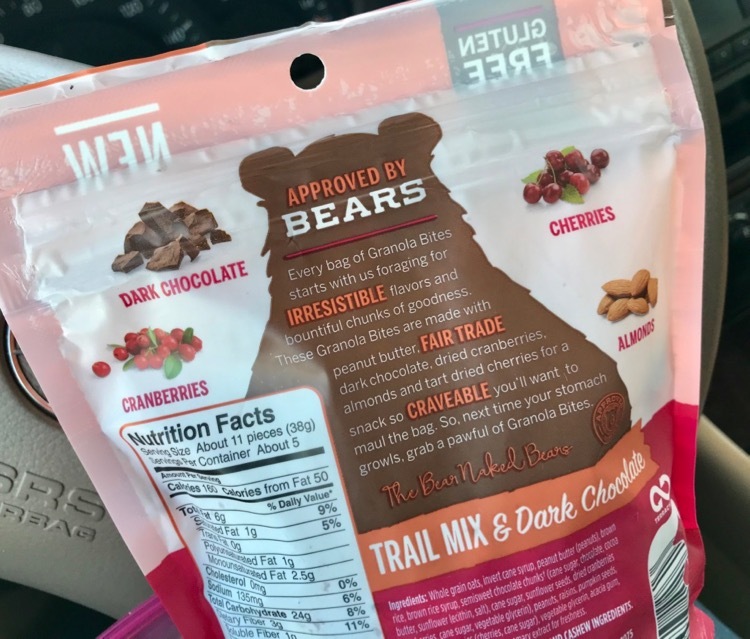 The Trail Mix and Dark Chocolate is one of my new faves! 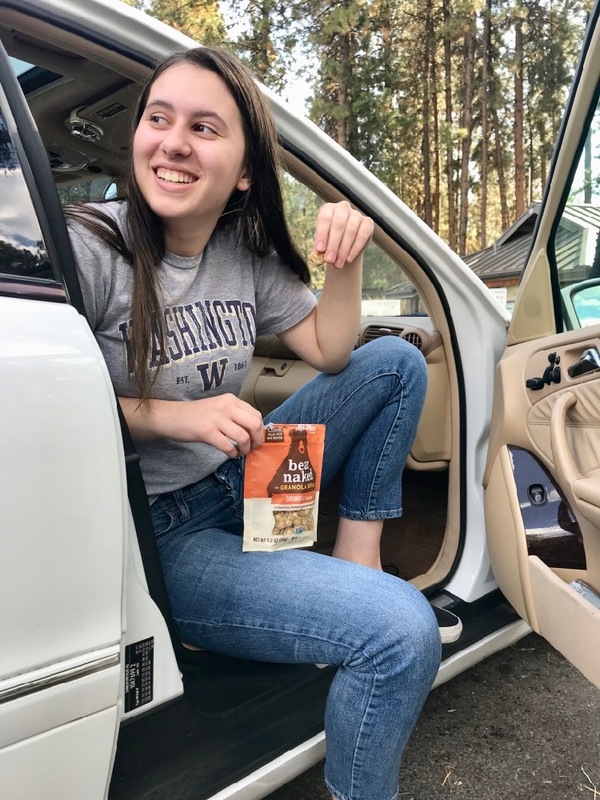 These Bear Naked Granola Bites are made with peanut butter, fair trade dark chocolate, dried cranberries, almonds and tart dried cherries. I love dried fruit and almonds together, but add chocolate to the mix and I love it even more. Since we had a long 12-hour drive, we made several stops along the way to stretch our legs and take snack breaks. 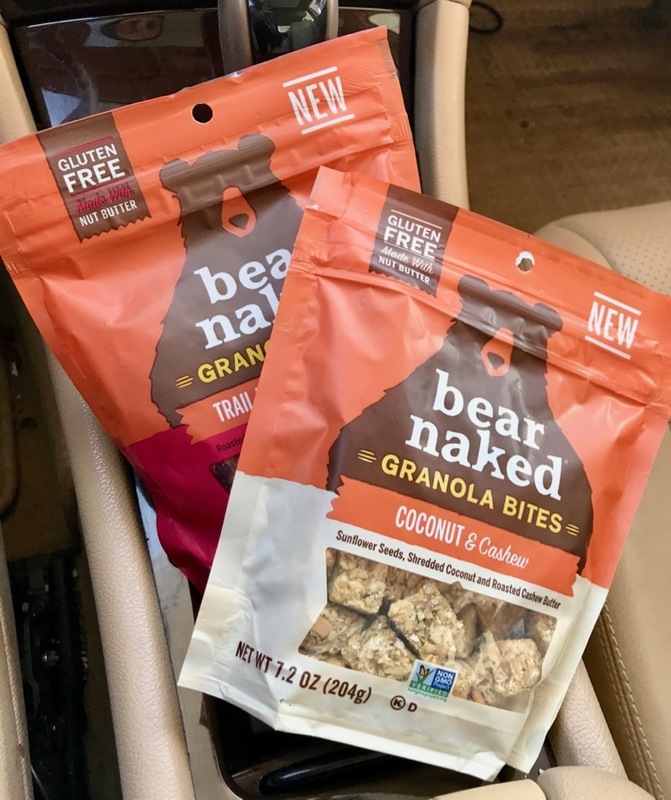 I love the fact that the Bear Naked Granola Bites are gluten free and Non-GMO Project verified. We have family members that eat gluten free and I love when the snacks we already buy work out well for them too. I am finding we are buying more and more gluten free snacks because they taste great, not just because they are gluten free. These snacks are perfect for at home and especially on-the-go. They are bite-size pieces that come in a resealable pouch, so they aren’t messy like some other snacks. They are yummy and easy to take along anywhere! You can feel good about feeding them to your family too.